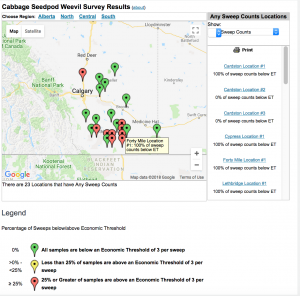 Alberta Agriculture’s cabbage seedpod weevil survey results for 2018 are mapped, as shown above. Click here for a link to the live map. 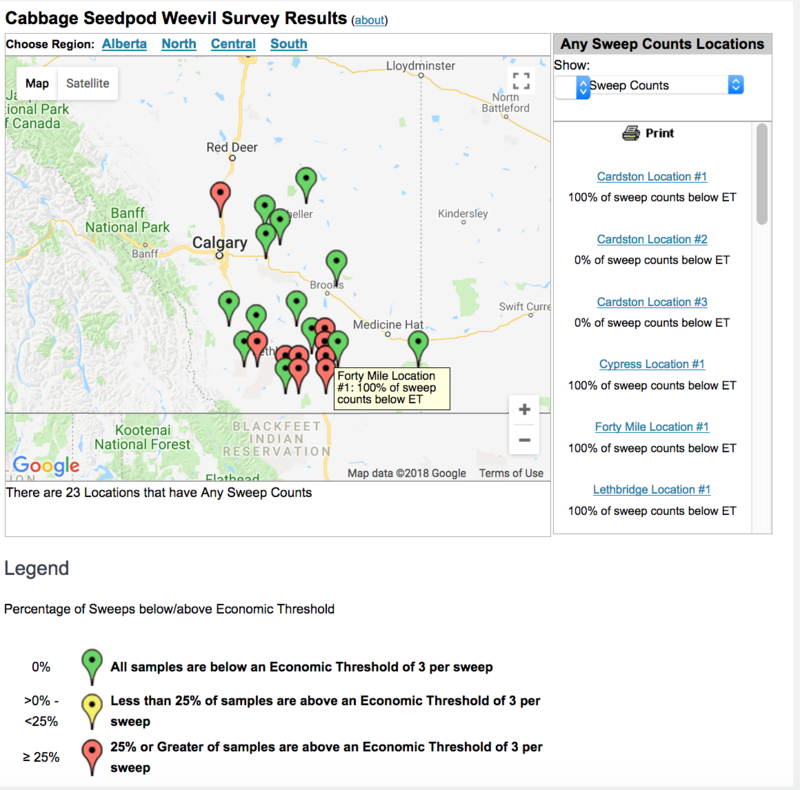 In areas with a red marker, 25% or more of samples reported are above the threshold. To report your sweep net results, text “Canola CSPW” (with the space) to 393939.